A new thing is go! If you had told me two years ago that I would be running (or attempting to start up at least) a fitness class of any description i’d have laughed at you! I have always enjoyed going to them…but never seriously thought I would run one…until now!! 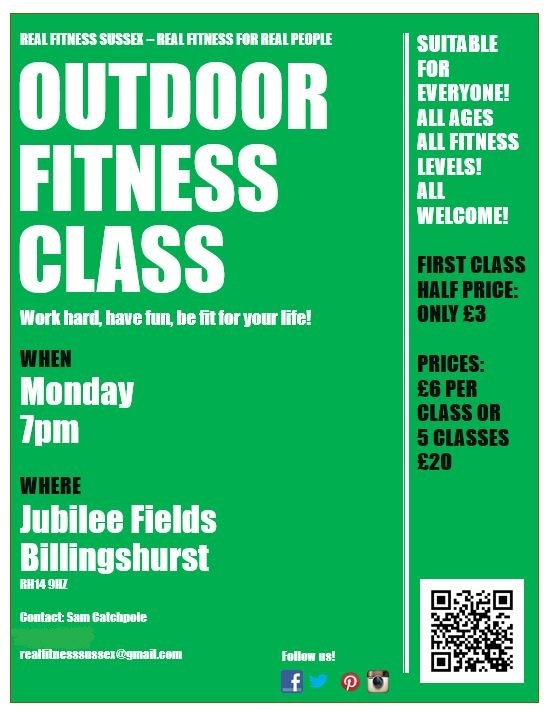 But here we are and tonight I will be running my first ever outdoor fitness class! It could go either way and I am terrified! I am slightly terrified but also convinced noone will turn up!! Not really. It’s been a true living hell. I just hope tomorrow’s consultation yields a surgery date that’s not too far out. 😦 oh I am sorry to hear it!! I will keep my fingers crossed!! Hope you feel better Nancy! Me too, Linda. I’m normally not a whiner, and I’ve been a rock for 2 weeks but this is breaking me. Dogs get treated better than I’ve been. Makes me angry and sad. Me too!! They will have us both to deal with!! I’ll take any and all advocates at this point. Exactly!! I think it was probably better to have just one person from a nerves point of view!! I almost certainly would have!! I’ll keep a look out now I’m back on the ball… Or so I say! I would love you to come to my class!! the maximum number I have had so far is 3!! I wish!! But with three people, it is harder to hide, and I’m a hider when it comes to exercise classes (always in the back or behind a tall person), haha! some classes have only one person (my friend Graham) who complains a lot that there is nowhere for him to hide!! oh…in that case, go full force on him (I hope I never meet Graham)! !